Want to create a greater space to use for parties and barbecues? Decks provide a safe, level area where entertainment can take place. Whether you choose to have it attached to a house or to have it freestanding, decked areas really turn your backyard into a more usable space. You don’t need a square timber area anymore either. There are several designs you can choose from to really make use of the space you have and transform it into something grand. 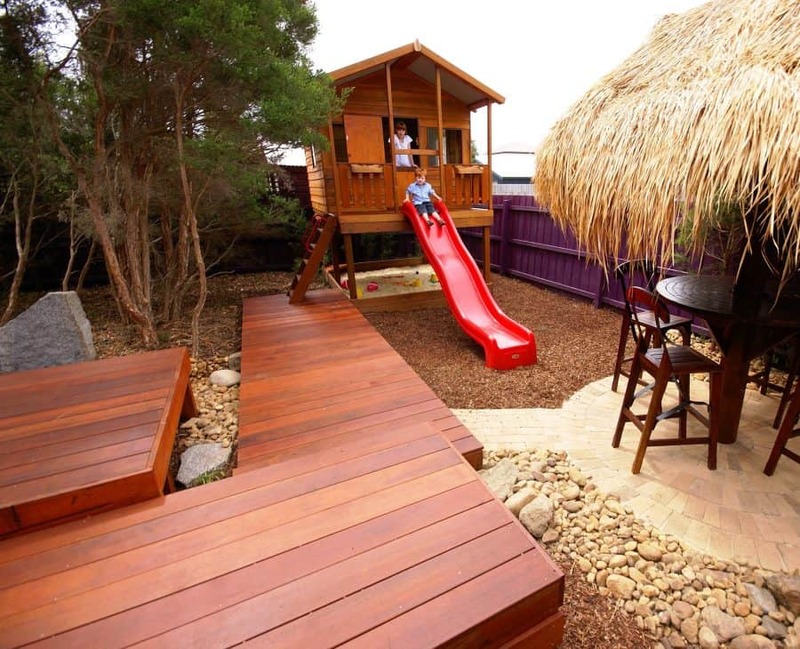 Here are some of our backyard deck designs. These are the most popular style and simplest as well. They are built low on level ground. Railings are often not needed for this type of decking because of how low it is, although some homeowners still add them just to outline the deck’s edge. Sometimes plants and flower are used instead, creating a really lovely area to enjoy. Platforms decks tend to need to be often cleaned because of how low to the ground they are. Waterproofing is essential. Freestanding decks are ones not attached to the home. If the home for whatever reason cannot support a certain type of deck or you want a place to enjoy views elsewhere in the backyard, then this is a good option. You can even use the area for a barbecue that is away from the house. Add a structure such as a pergola or African Thatch from Aarons Outdoor Living for some extra shaded areas to enjoy. You really have a lot of freedom with a freestanding deck. A raised deck is needed for a home that may not be at ground level. It may be due to an uneven foundation or just a style that is preferred. A raised deck in these situations are a must for safety. They also need to include railings and stairs that lead to the yard. The exposed area underneath can be covered with skirting or even plants and flowers for a real tranquil look. 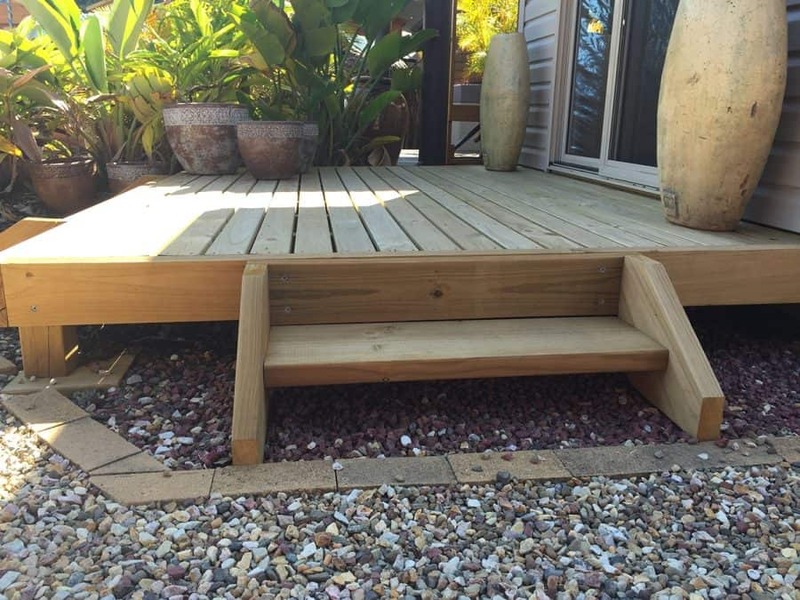 These types of decks are on different levels and attached with steps. The first level might be where you have your entertaining and barbecues. The next may be in a more shaded area, creating a peaceful sitting area or even one that has a spa. If the bottom level gets plenty of sun, then homeowners might put out potted plants to highlight the perimeter. Other levels often have railings for safety. A deck doesn’t have to be just on one side of the house. Expand it to wrap around a corner. This is great if one side gets more sun and the other tends to get more shade, giving two great areas to enjoy in one. It looks like it doesn’t take up too much space, but really there is an abundance of it. Perfect for parties! Think you don’t have enough room for a back deck? Think again! 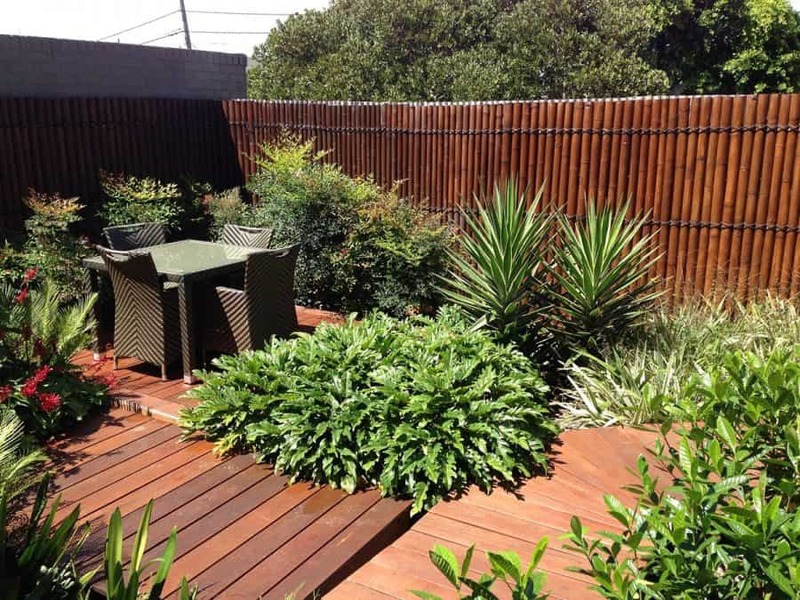 Petite decking can make it look like you have more space to use than you do. Aarons supplies decks as small as 3m x 3m. Use decking as a pathway towards your garden area. This not only gives a safe walkway, especially if the ground may be a bit unlevel, but it also acts as a friendly welcome towards the garden, or another area/structure in the backyard. Aarons Outdoor living can supply decks in standard sizes from 3m x 3m for small spaces all the way up to 4m x 5m, but if you have your own design in mind, give our team a call, and we can provide you with a quote. We are dedicated to helping you be able to bring your backyard to life the way you want it to.